THE government intends to create a single digital ID for citizens of The Bahamas to make online access to services seamless and more efficient to reduce government cost, Deputy Prime Minister Peter Turnquest revealed. 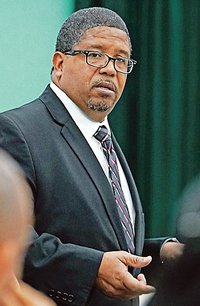 The government will be seeking assistance from new tech firm GIBC Digital to assist it with putting in place a cybersecurity system to ensure data privacy and security of the ID system. Mr Turnquest's comments came during the official launch of GIBC's office in the Jasmine Corporate Centre yesterday. GIBC Digital, operated by CEO Greg Wood, is the first tech firm approved under the Commercial Enterprises Act, which targets specialised businesses in captive insurance, nanotechnology, computer technology, software design, data storage, maritime trade, aviation registration, wealth management and manufacturing enterprises.